The restaurant, which was first established in Bridport in 2009, wanted to ‘do something for the local community’. The customers appeared in their hundreds and staff members supplied members of the queue with mulled cider and plant-based brownies to keep warm as they waited for their pizza. The turnout was better than expected, and the restaurant reported that over 450 pizzas were made for the event. Patrick Campbell, Executive Chef at The Stable, said that the idea behind the vegan-friendly event was due to the fact that November is World Vegan Month. The Stable is just one of many chain restaurants which are increasingly focusing on the development of plant-based and vegan dishes on their menu. Campbell said: ‘Now, we make the vegan items a forefront in our thinking and in our development. 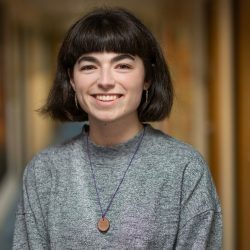 Lily Divett, a vegan Animation student at Arts University Bournemouth, attended the event with her friends. She said: ‘There was a big queue to get inside, it was lucky we got there early! 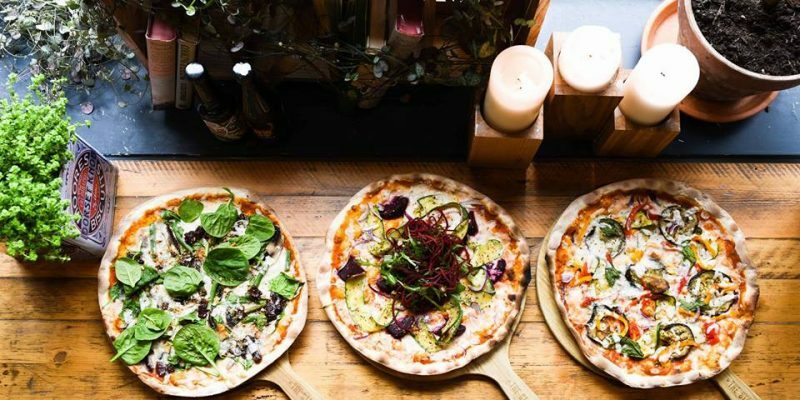 The pizzas available on the night included ‘The Hazelnutter’ and ‘The Pretty Green’, and all of the pizzas had a dairy-free alternative to mozzarella. Lizzi Shaw, aka Dorset Vegan (@dorset_vegan) on Instagram, also attended the event and said: ‘It was absolutely fantastic to see the local vegan community and their friends out to support The Stable tonight. The Stable, which raises money for their charity partner, MIND, the relationship with which Campbell says ‘is a huge part of life at The Stable’, is hosting more of these events in their other restaurants around the country. 23 years old, a trainee journalist for the Breaker. I enjoy writing about environmental issues and activism, as well as progressive topics and all things health and lifestyle. Local to Bournemouth.